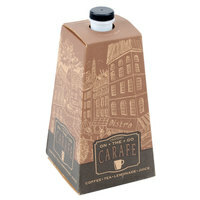 We carry coffee to-go containers that can accommodate several gallons of coffee at a time! 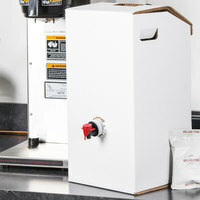 You can also find models that come with easy-pour spouts or convenient spigots for convenient dispensing. 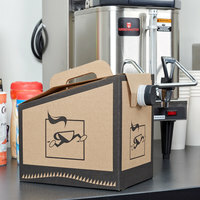 Whether you’re selling boxed coffee to-go or you need a large, disposable dispenser for a catered event, our stock is sure to meet your needs! 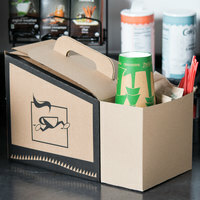 We also carry caddies for your coffee container to hold cups, napkins, stirrers, condiments, and more. 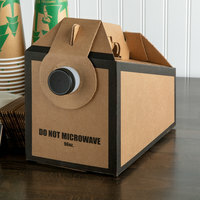 Also make sure to check out other great items from Bagcraft Papercon and LBP. 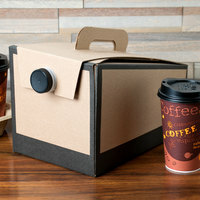 We offer coffee to-go containers in multiple sizes and styles that can work for any application! 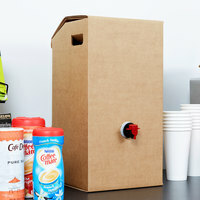 Whether you’re looking for dispensers or containers with pour spouts, spigots, extra carrying space, and more, we have what you need! 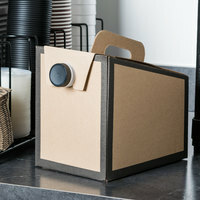 For more essential coffee service supplies, be sure to check out our paper hot cups, coffee cup sleeves, and sugar, sweetener, and creamer packets. 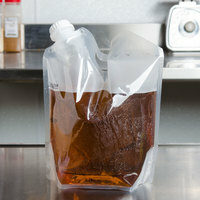 If you're wondering where to buy coffee to go / beverage bags, we have a large selection of coffee to go / beverage bags for sale at the lowest prices.